Are you tired of cheaply made furniture? You don't have to settle for undersized couches and love seats. 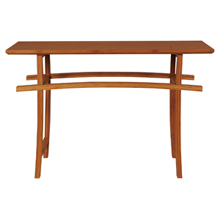 Our contemporary Asian furniture is not only affordable but made from the highest quality materials and designs from Japan, Southeast Asia, India and Tibet. Our contemporary Asian living room furniture collection features beautiful furnishings in a variety of shapes and styles. From modern Japanese furniture to exotic Indonesian furniture, Tansu is dedicated to collecting an eclectic mix of furnishings to help you turn your home into a Feng-shui paradise. Click on the images of sofas, Asian TV stands, bookcases and more for complete selection, prices and details and up close views. 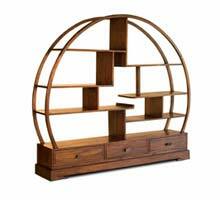 Combine modern Western function for your specific needs with the beauty of Eastern décor. 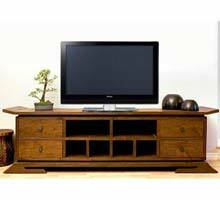 We carry an exclusive line of top quality modern Asian living room furniture including armoires, coffee tables, end tables, flat screen TV stands and bookcases. 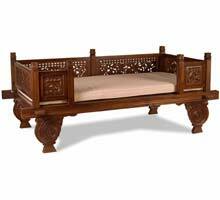 We also provide more unusual pieces such as Asian daybeds and unique occasional tables. Your living room should be more than just a pretty face - it should be a place where you genuinely like to spend time. Let us help you do just that! As an eco friendly importer of fine contemporary home decor, all of our furniture is made of reclaimed teak or regulated plantation grown wood. We inspire to offer you a collection of environmentally friendly ways to beautify your home in style. As an eco friendly importer of fine contemporary home decor, all of our furniture is made of re-claimed teak or regulated plantation grown wood. We inspire to offer you collection of environmentally friendly ways to green your home in style. For exotic Asian contemporary furniture and Oriental or Persian rugs, Tansu.net is your one stop shop for timeless home décor. We carry more products than we offer on our web site including Oriental and Persian rugs, throw rugs, and wall hangings. These beautiful pieces allow you to add a taste of Asian style to your home-and will coordinate with almost any other design style. Give us a call or send us an e-mail. We can provide you with pricing and images of hard-to-find living room pieces.